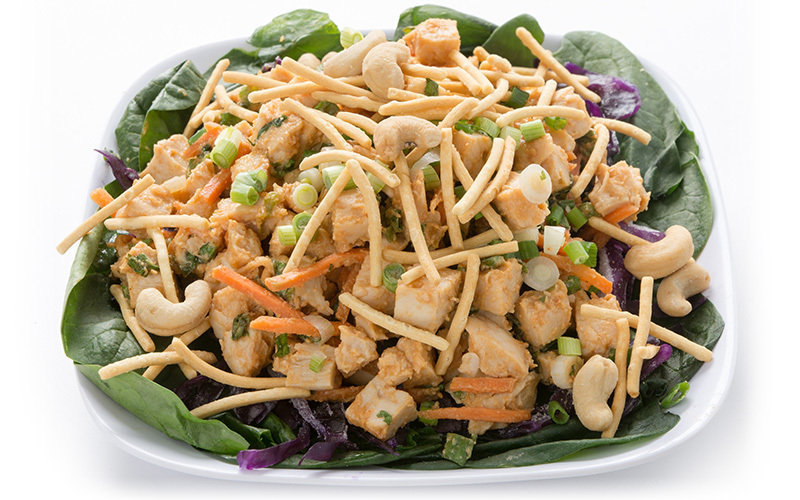 Our Garlic Ginger Chicken Salad will be the hit of any gathering! 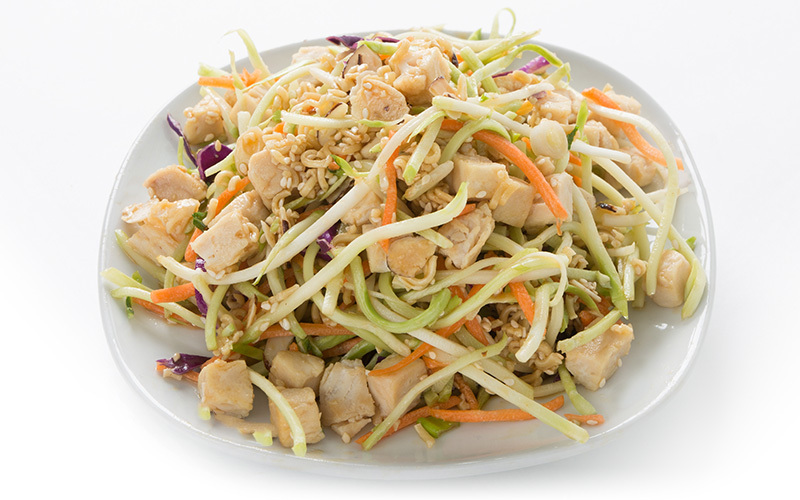 When topped with crunchy Lo Mein noodles and chopped green onions, this recipe has color, texture and incredible taste! Worth the effort. During Spring and Summer, nothing tastes better than a delicious fruit salad. 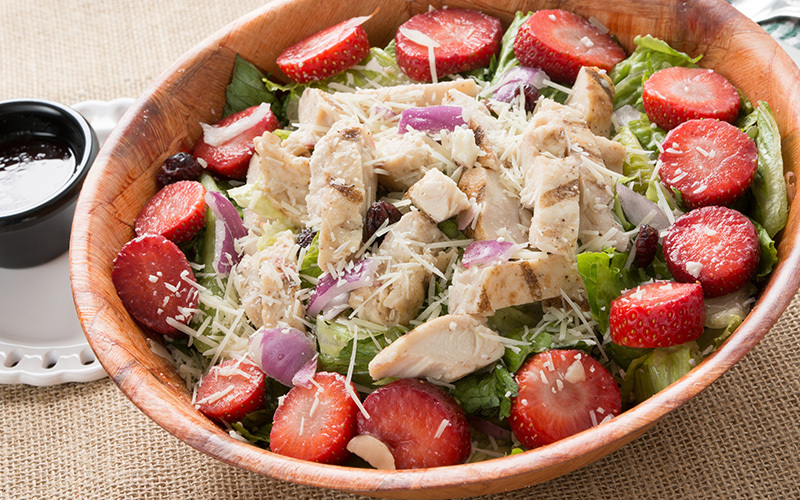 Our Diced Chicken Fruit Salad contains strawberries, cranberries and almond slices for a light, healthy meal packed with protein and plenty of flavor. We recommend a nice Raspberry Vinaigrette dressing. 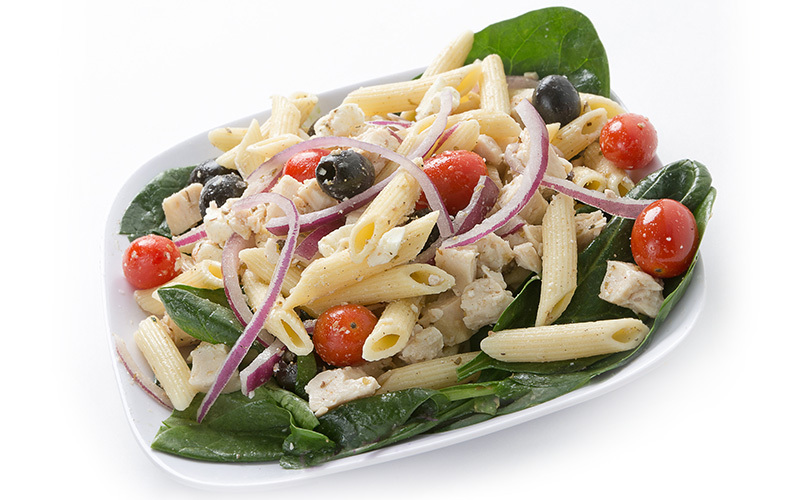 Pasta salads are always popular. 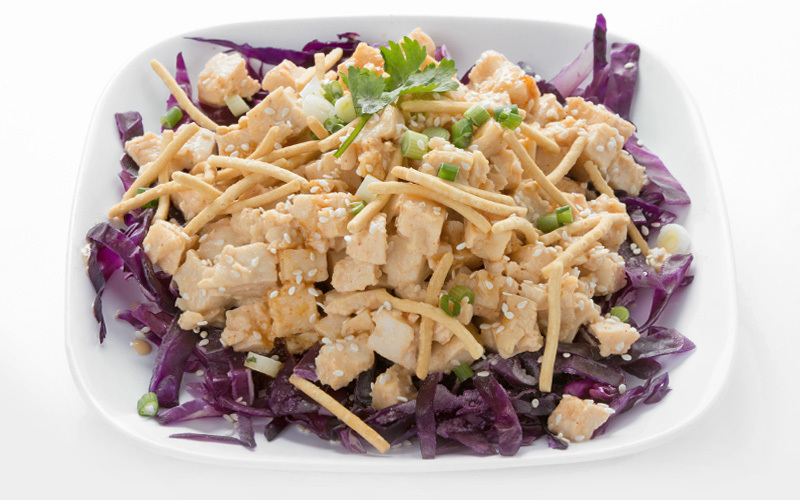 Our Greek Chicken Salad is no exception. It can be prepared the night before for convenience and to allow flavors to blend. Delicious!